Somnambulant Gamer: North to the Future! Again! North to the Future! Again! 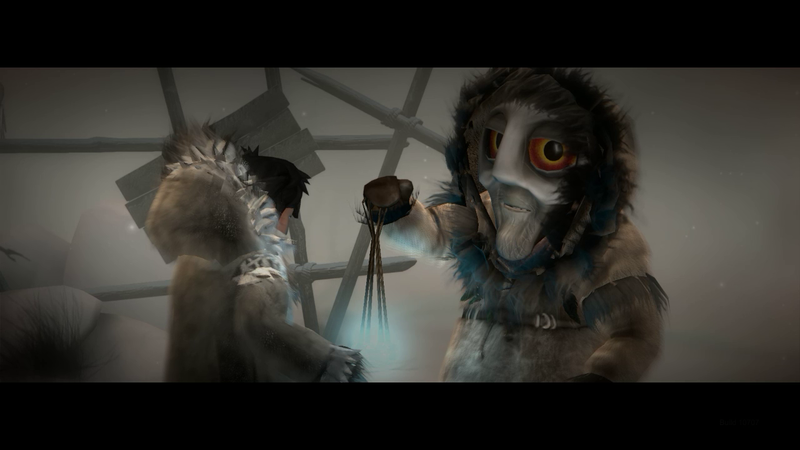 I previewed the PAX 2014 demo snippets for Never Alone in my previous article. E-Line Media was very generous in granting us a review copy on the PS4. I feel it's necessary to come back and review it from a single (almost) complete playthrough. During this playthrough, Ssalarn played as Nuna (the girl), and I played as the fox. I believe that games like this are better with some details of the story unspoiled. To that end (see what I did there) I am writing this before playing the conclusion of Never Alone. It's important that you discover it on your own. I have played through the majority of the game however, and can attest that the journey is full of wonder and danger. 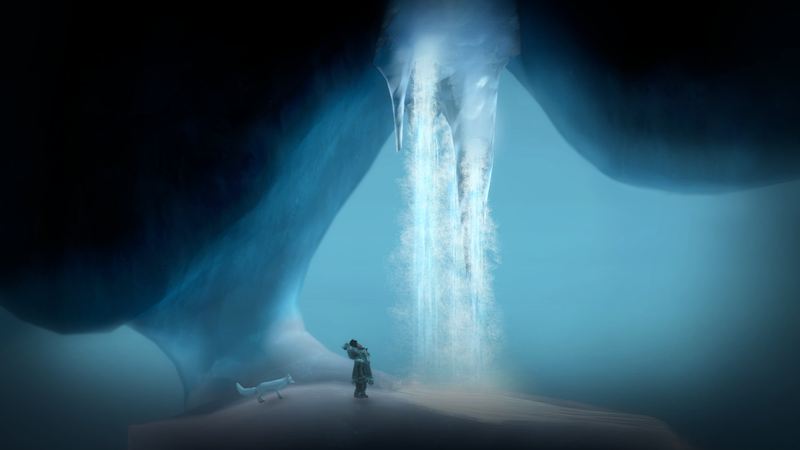 There is no disputing the depth of Never Alone's story. The spirits are beautiful and everywhere, from the weather, to the Owl Man (my favorite character), to the spirit of selfishness in the community, the Manslayer. So many myths and "small" characters are included, creating a surprisingly complex tale which seems to twist in a few ways you would not expect. These additional legends and events in the story unlock "Cultural Insights." These interesting and informative narratives from members of the native community provide rare insight into life in the forbidding North. 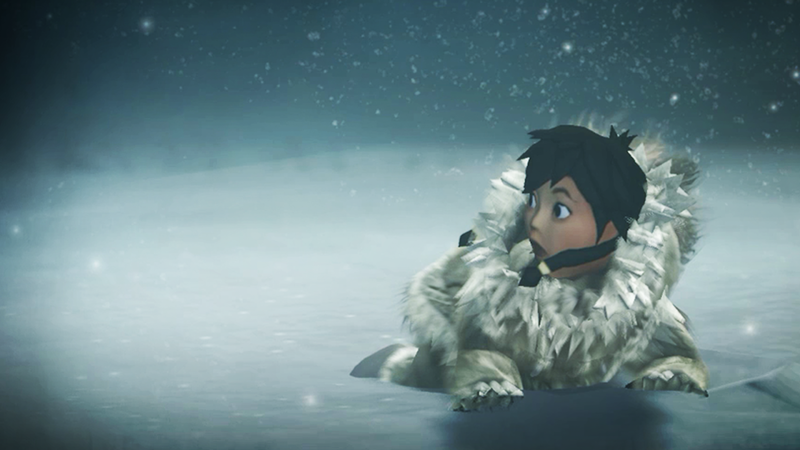 The gameplay was straightforward but some sections required some finer coordination between Nuna and the fox. As is the case with many side-scrollers, the gameplay itself is very linear, with few deviations. It's a very satisfying journey though, helped largely by the incredible art direction. The camera is slightly out of focus from time to time or the play of the light, giving the impression that you are squinting your eyes slightly in a snow storm. While you can play single player and switch between characters, I highly recommend playing with a friend, there's just some places where a good companion is far superior to the AI or your own stupid fingers. Besides, sharing a story like this makes it all the better. Overall, I do love this game! It accomplishes its purpose of sharing some of the Inupiat Alaska Native culture to the uninitiated, provides very interesting insights, beautiful scrimshaw artwork, and all the while tells you an epic. There are a few issues with the game. Some glitches and "noclip" moments popped up occasionally and the puzzles are not terribly complicated, but otherwise we had a very smooth and entertaining experience in playing Never Alone. It's a story that I'm very happy is being shared with the world.